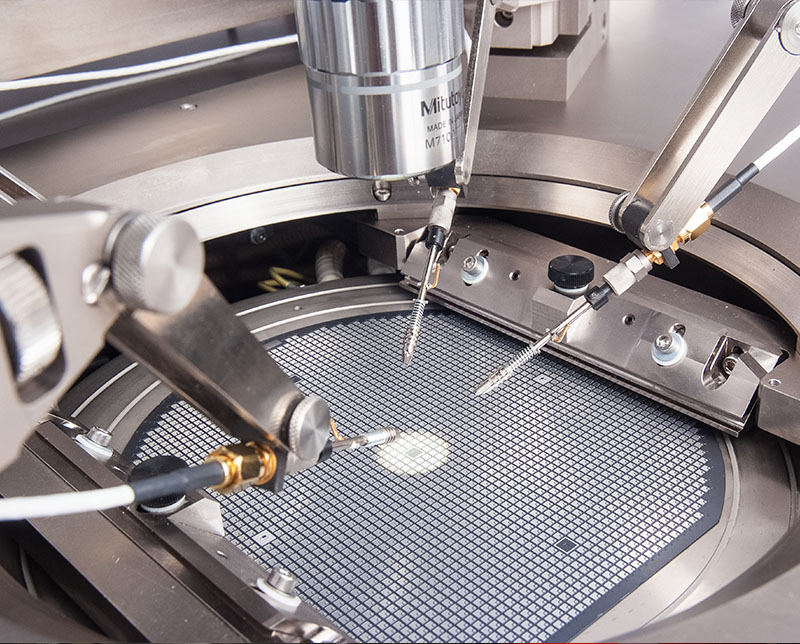 Wentworth’s manual FA Series wafer probers M200FA and M300FA enable you to quickly obtain accurate measurements. At the core of this series is a highly stable, feature-laden platform to capture repeatable, precision measurements. 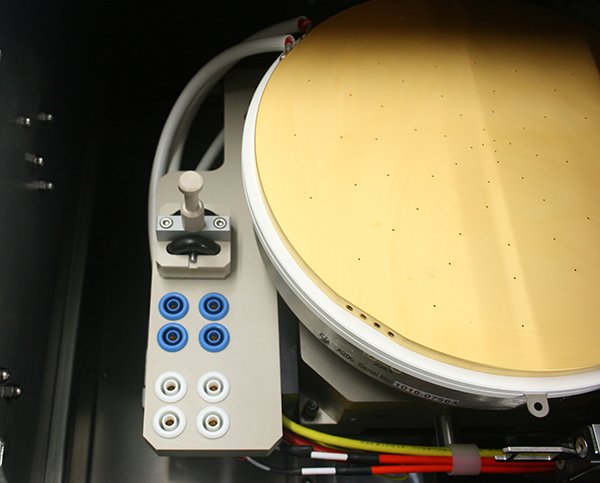 M200FA and M300FA manual analytical wafer probers for 200mm and 300mm wafers, deliver cost-effective probing for failure analysis, device characterization and inline process verification of wafers or packaged devices for semiconductor, research and education. The compact design and extensive features are ideally suited for diverse applications, including small geometry probing, applications using high power optics, design debug, wafer level reliability (WLR) and electro static discharge (ESD). 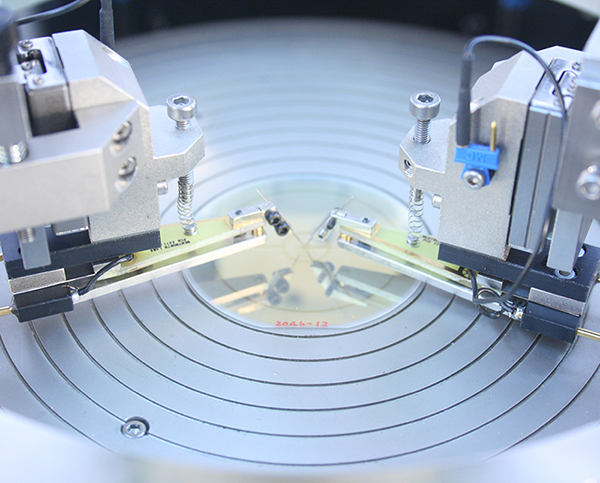 Utilizing either Wentworth replaceable probes or DC cantilever probe cards, FA series wafer probers are an ideal platform for a variety of test applications. 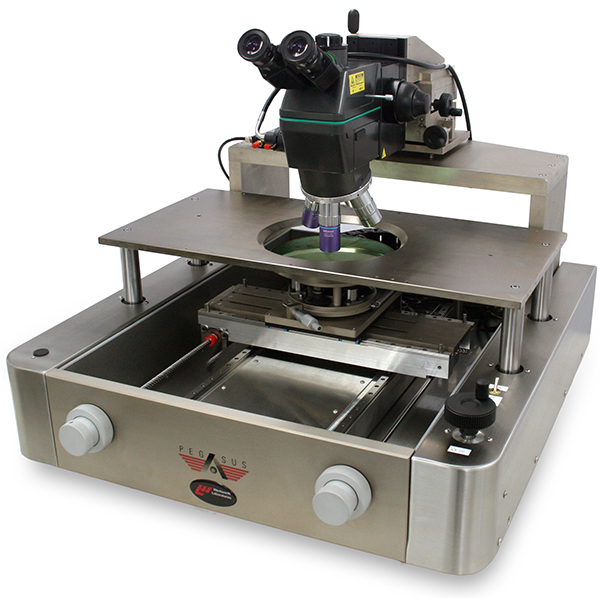 Ergonomic design and controls make the manual FA series wafer probers extremely user friendly. Controls conveniently located at the front of the system, offer fine and coarse positioning of the X/Y stage. The Z control of the platen is also situated at the system front, offering variable Z movement as well as fine control for substrate probing. The precision X/Y stage features lead screws with linear rails to deliver repeatable accuracy over a wide temperature range using our exclusive calibration process. 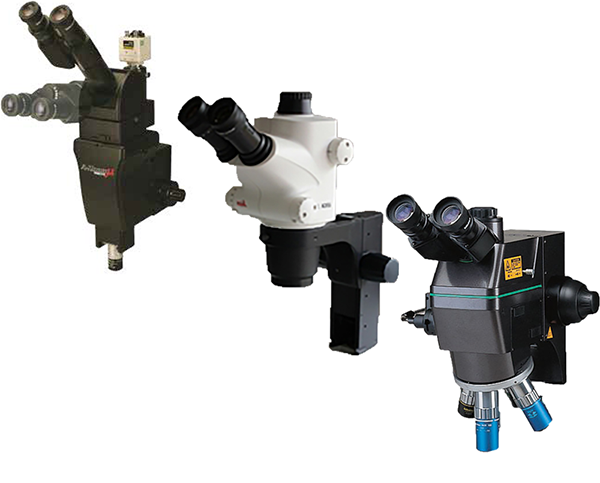 A robust microscope bridge supports a choice of different stereo zoom and high-powered microscopes. 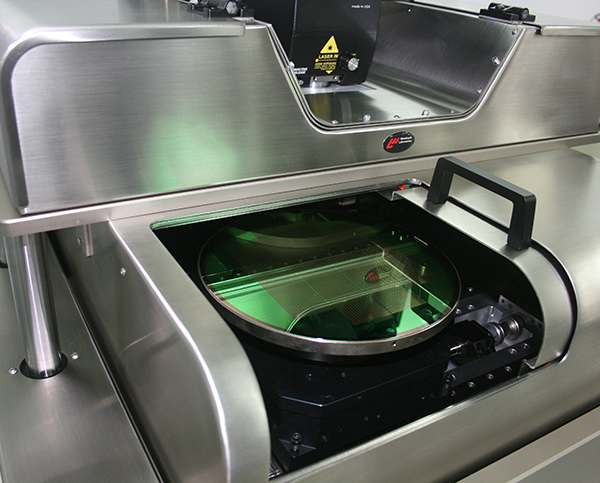 M200FA and M300FA wafer probers can be configured with a guarded light-tight environmental chamber (GuardMaster™ or ShieldMaster™) to provide operator protection, prevent frosting at low temperatures, enable low-level leakage or provide EMC shielding (GuardMaster™ only). M200FA and M300FA wafer probers offer easy setup, positioning and adjustment of manipulators. 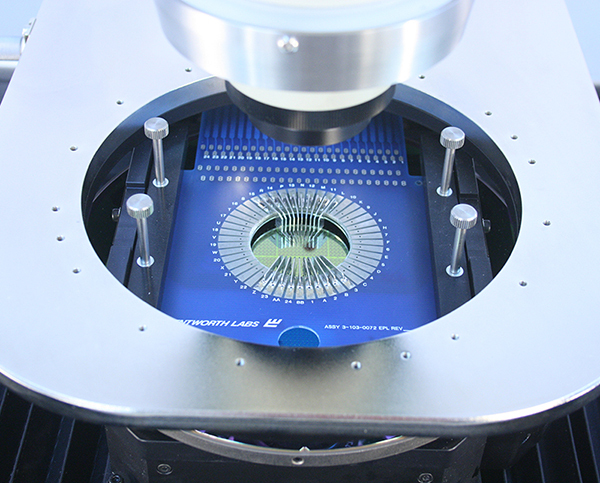 In addition to manipulators, the probers’ robust, stable probing platform accepts a wide range of accessories, including standard and custom chuck plates, manual microscope mounts, microscopes from leading optics manufacturers, micromanipulators, needle holder assemblies, anti-vibration tables and many more.